She told the News Agency of Nigeria (NAN) in Lagos that multimodal transportation system was necessary to make Nigerian ports a hub in the sub-region. Orakwusi said the one-day conference on port concession held on July 30 with a focus on a review of the port concession agreement, examined the perennial gridlock on Apapa port access roads. The maritime practitioner said that the role of the Nigerian Shippers’ Council as the economic regulator was well highlighted. She said that the conference also looked at the challenges of the concession agreement with a view to identifying the rights and obligations of every stakeholder. ``The whole objective is to see our ports modernised; to see a quick Turn-Around-Time; and to see our ports growing to become the hub in West Africa. ``We talked about the gridlock. If you wake up in the morning and you cannot get to your office in Apapa, you have lost that day. 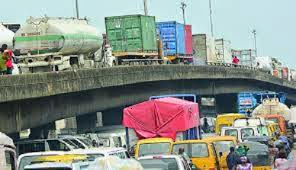 ``So, while Apapa cannot grow larger than the space we have existing for now; what can we do to free Apapa from most of the activities that are responsible for the gridlock? ``We are looking at different systems of transportation, because heavy-duty equipment, heavy-duty goods should not normally be moved on the road. ``We should have a functional rail system,” she said. The maritime expert also called for huge investments in water transportation to establish a robust mass transportation system to free the roads of pressure. The maritime practitioner said if more effective means of transportation were created, the danger of container-laden trucks falling on people would be a thing of the past. Orakwusi faulted the location of tank farms in Apapa and described this as a danger to everybody working in the area. ``In the same Apapa, you have ports, you have tank farms, you have many commercial activities going on, you also have schools. ``So, we need to talk about it. Be bold enough to suggest areas that we as investors can contribute and other stakeholders. Then, the role the government should play,” she said.